Get huge brand exposure in front of an engaged audience by taking advantage of our podcast advertising services. And Single Grain has a competitive edge: CEO Eric Siu puts out two 5-star rated, marketing podcasts, so we know this niche inside and out. 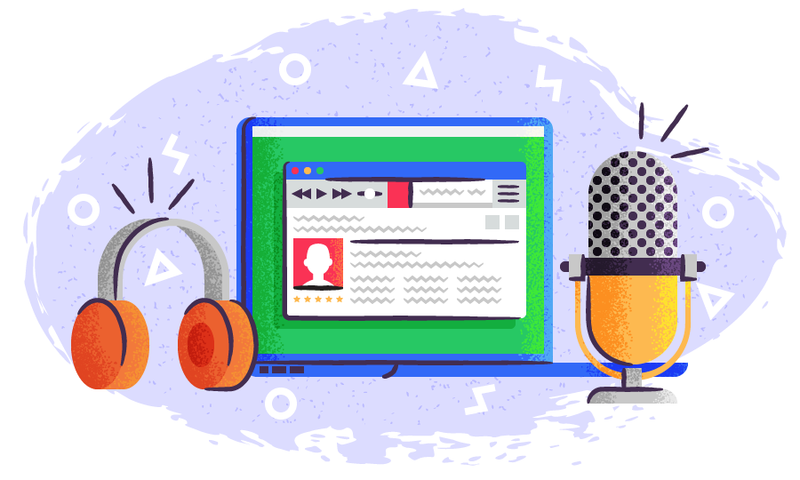 Whether you want to drive podcast sponsorship or have a podcast host plug your product, podcast ads will ensure your brand will reach a highly targeted, loyal audience. Single Grain’s full-service digital marketing agency will determine your target audience to choose which show will give you maximum brand exposure. We’ll design a campaign, create compelling content, and continuously reoptimize your podcast marketing campaign. And we have an edge: Single Grain CEO Eric Siu hosts two 5-star rated marketing podcasts with over 12M downloads, so he intimately knows the market and how to drive conversions from podcast ads. What Podcast Advertising Services Do We Offer? While we will work tirelessly to get your podcast advertising optimal results, we can’t provide any guarantees. You can check out our case studies, though — our work speaks for itself. How does podcast advertising work? Podcast advertising works by paying to have your product, service, or business mentioned by the podcasts your target audience listen and subscribe to. For example, your company may choose to sponsor a podcast, and the podcast host will organically discuss your brand. Some podcasts run more traditional, radio-style ad spots while some hosts will more organically share their experience with your brand. What is your podcast ad services pricing? Since no client and no project are alike, we’ll discuss your specific to provide you with a fair estimate. Feel free to contact us to learn more! What makes you different from other digital marketing agencies? We know podcasts — really. Our CEO, Eric Siu, hosts two uber-popular podcasts, Growth Everywhere and Marketing School. He knows the medium inside and out, and his online marketing team does, too. We’ll parlay our knowledge of the modern podcast and media advertising into your business’s own bespoke podcast advertising strategy. As always, we eschew one-size-fits-all digital marketing strategies in favor of something custom-built to grow your business on your budget. Single Grain also offers three tiers of service to fit any client at any budget. In our Done-for-you agency services, our technicians will strategize, implement, and optimize your ad campaigns. In our Done-with-you tier, we work with you to build out a sustainable digital marketing strategy. And our DIY tier of services gives you the playbook and frameworks we’ve used to build audiences for ourselves and our clients.